Winter has been rough, and we are fed up with how pasty it has left us looking. With summer right around the corner, it’s time to put away our pale skin and bring out the golden goddesses we are. Our experts at MyTopFace have been searching for the perfect skincare and tanning oils that will be just right for our skin. Whenever spending time in the sun, it is always crucial to protect yourselves with healthy products. Over the years, sun tanning has gotten a bad reputation. Whether directly from the sun or tanning bed, too much ultraviolet radiation exposure can lead to premature wrinkles, fine lines, age spots and even the risk of skin cancer. We would never risk our health, but we do dream of the day we can soak up Vitamin D from the sun without damaging our bodies. Last time we met with Bali Body, a natural Australian skincare and tanning oil brand, their products helped us get Body Beach Ready. So why we were excited to meet again with this brand whose products are free of parabens, preservatives and harsh chemicals. Co-founder and director Laura Foley began searching for healing properties of naturally derived plants and oils because of her history of eczema. This ultimately led to the creation of Bali Body whose products are organic, plant-derived and contain seed based oils full of vitamin E, rose hip oil and jojoba. Bali Body products are 100% natural, vegan and cruelty-free. It is important to wear sunscreen no matter what the weather report says. The sun’s rays are just as harmful regardless if you live in a sunny state or not. For example, a reflection of radiation from snow can be even more aggressive than radiation from sand. So our experts tested the Bali Body Natural Moisturizing Sunscreen during a day of outdoor exercising. This hydrating lotion provides medium protection from UVA and UVB rays and contains zinc oxide as the active ingredient. Its natural oils like Rose Hip Oil and Jojoba Oil will leave skin well nourished and silky looking. To allow the product to settle in, we applied it about twenty minutes before going to the park for a run. We took a handful of the product into our hands and rubbed the oil into our skin (making sure not to forget our shoulders and back area!) Thankfully, the product did not leave us feeling sticky or wet. It was so lightweight it felt as if we were not wearing anything at all. We are happy to announce the sunscreen was immediately effective. Even after our sweaty workout, we could still feel the product on our bodies. Our experts then tested two of the Bali Body tanning oils. To use these products, we again applied a handful of the oil into our hands and then lathered it onto our bodies before hopping into the sun. The Cacao Tanning Oil comes in a sleek, black bottle. It is made with natural ingredients like natural cacao, olive and coconut oil. The product has a slight chocolate scent that will leave you smelling delicious. We found that the product left our skin with an instant glow. It was not greasy or sticky. The best part about it? It did not give us orange hands like other tanning oils sometimes do! The Watermelon Tanning Oil which comes in an adorable pink bottle is made with natural ingredients like watermelon seed oil, almond oil and vitamin E. This formula stimulates the melanin in your body, responsible for giving color to your skin meaning it will naturally enhance your tan. The product leaves a lovely sweet scent behind so no need to apply perfume afterward. It also leaves no orange hands! MyTopFace (MTF) beauty hack: Planning a warm vacation and want to look great in your photos? One week before traveling, take a hot shower and exfoliate it with the Sighs Coffee Body Scrub. This natural coffee scrub experience will diminish the appearance of cellulite and awaken the skin underneath. Don’t be afraid to get dirty with it and apply a generous amount all over your body and face! After your shower, let your skin air dry instead and apply your favorite Bali Body product to your body. Air-drying your skin will increase hydration naturally (and save you a dirty towel.) You’ll notice how much smoother and softer you’ll feel. Then before bedtime, lastly apply the Cacao Tanning Oil to your body. You’ll wake up in the morning ready for vacation with a new natural, alluring glow! Lastly, we tested the Bali Body BB Cream. This multi-tasking beauty cream combines hydrating skincare benefits to protect and correct skin. It contains SPF 15 UVA and UVB Broad spectrum so you can also wear it as a sunscreen. This lightweight ultra-hydrating BB cream provides perfect natural coverage instantly while giving a natural dewy glow. 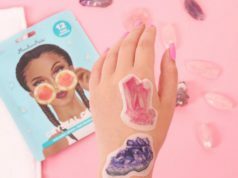 The product comes in two different shades: Natural is for individuals with light to medium skin tones, and Tan is for medium to tan skin tones. Our experts at MyTopFace come in all different colors, so some of us tested the Natural shade while others tested the Tan. We found the product quickly blended into our skin and had a nice consistent texture which did not clog our pores. The BB Cream felt healthier than our usual cream foundation. 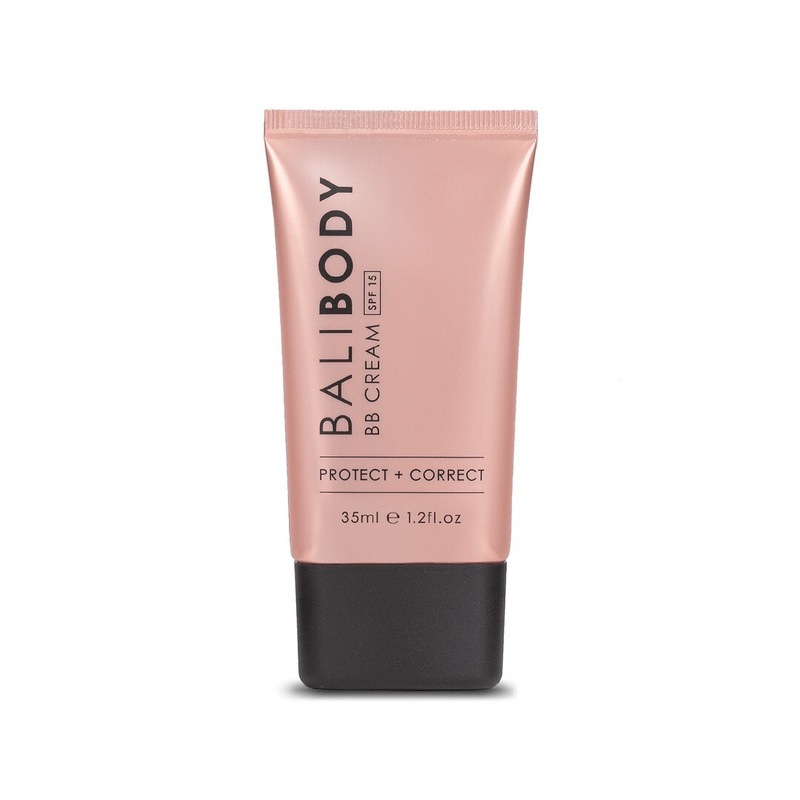 This Bali Body BB Cream is perfect for all skin types but especially ideal for on-the-go individuals who may not have time to put makeup on but still want to look their best. Since the formula is so lightweight and thin, it makes it easy to apply anywhere. We have officially included this product into our morning beauty routine. Our MyTopFace experts have become big fans of Bali Body. Their products helped us become the bronze goddesses we are by beautifying, nourishing and protecting our skin. Their tanning oils enhanced our skin tone while leaving a lightweight, hydrated feel. We also loved the Bali Body packaging which is so ideal for traveling; it hardly took up any space in our luggage. We can spend much needed time in the sun without all the worry.